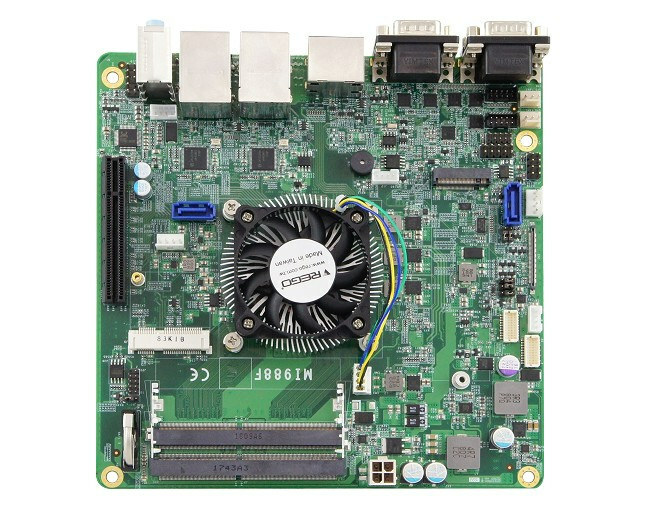 iBASE has recently announced the MI988 Mini-ITX motherboard based on the latest AMD Ryzen Embedded V1000 processor family. 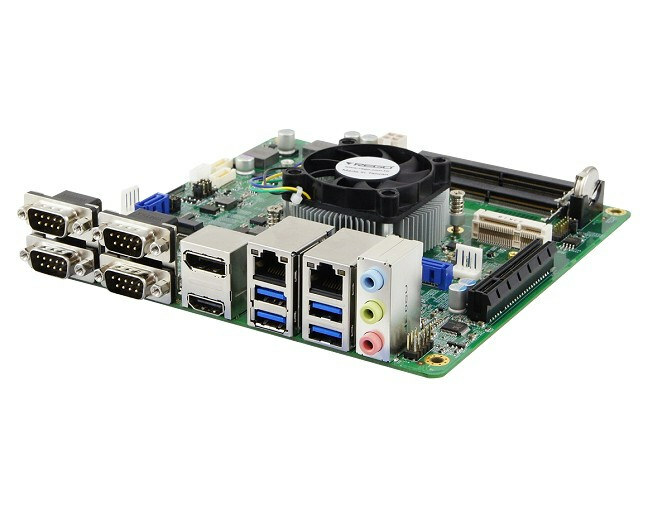 The motherboard is equipped with two DDR4-2666 SO-DIMM slots that support up to 32GB ECC memory, M.2 NVMEe storage (NVMe), two Gigabit Ethernet ports, and various display options. iBASE’s iSMART for the purpose of protecting and enabling systems to use power efficiently. Wilson Lin, Senior Manager of product planning department at iBASE, explains the “MI988 enables power savings and scalability for high-performance devices used in mission-critical markets in the field of machine vision, medical imaging and gaming”. You must have some very specific requirements to be willing to pay those kind of prices, as the Ryzen V1000 isn’t that amazing. It’s not even as if iBase has put 10Gbps Ethernet on the boards. I can think of a lot better products to spend that kind of money on. >You must have some very specific requirements to be willing to pay those kind of prices, as the Ryzen V1000 isn’t that amazing…I can think of a lot better products to spend that kind of money on. 4 RS232 should tell you plenty about their customers and why those boards are actually pretty cheap all things considered. It’s actually six, but hey, who’s counting anyhow. Well, it could be “cheap” for some embedded markets if it’s long-term-supported, reliable (i.e. no “CMOS checksum error, press F1 to continue”), durable (solid capacitors, thermal grease not turning to powder after 3 years), robust to temperature abuses (60°C ambient is good) and vibrations. But seeing a low-end fan on the CPU’s heatsink that will barely resist to dust for one year if used outside of a datacenter room doesn’t make me feel very confident about these use cases and the CPU might end up throttling very quickly. AMD’s fans are all good nowadays since the CPU will throttle down if heat builds up far more aggressively than previous years’ SoCs/CPUs and the fan manufacturer were told this in advance.